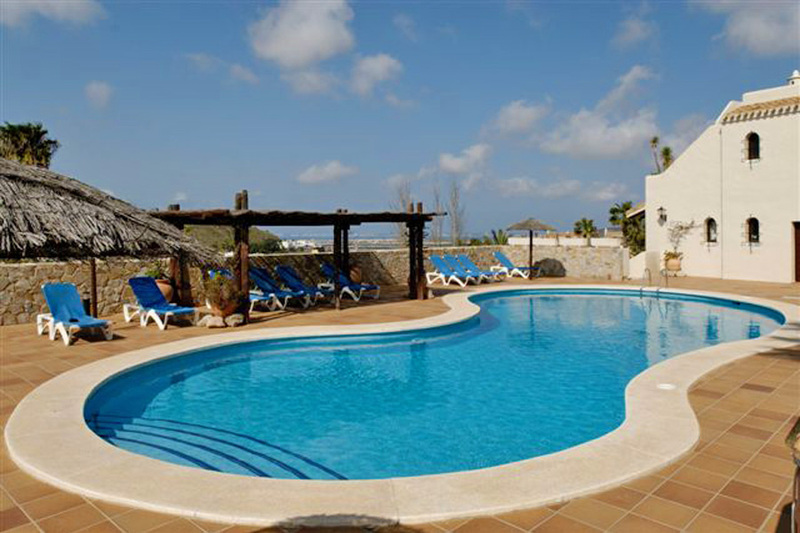 Centrally located three bedroom detached villa with three community pools, spectacular views. Free wifi. Recently extended and refurbished, this detached three bedroom villa offers great value accommodation in a very good location. Spectacular views. There is free wifi internet access. Entrance hallway to the open plan lounge/dining room which is well furnished with satellite flat-screen TV and patio doors to a terrace with stylish outdoor dining facilities, a built-in GAS barbecue and a large umbrella for shade. The terrace has steps access to the private roof terrace with spectacular views of the Resort. There is a cloakroom on this floor. There is an internal staircase down to the lower level and the three bedrooms. The master bedroom has twin beds which can be made into a double bed if preferred, satellite TV and an en-suite bathroom with large walk-in shower and twin wash basins. Patio doors from this bedroom lead to a balcony. The second and third bedrooms have twin beds and share use of a separate bathroom with bath, walk-in shower and twin wash basins. There is a utility room with washing machine and sink. There is also a separate external entrance door to this floor for easier access to the swimming pool. Please note that both bathrooms are newly refurbished in 2018. 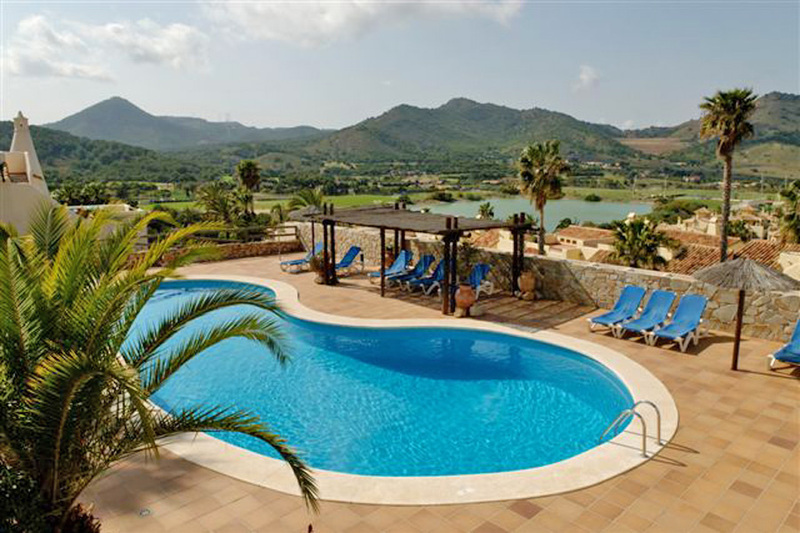 Centrally located in La Manga Club Resort, air conditioning throughout. Private terraces and barbecue facilities. Beautifully maintained and extended villa. Use of three community pools. Spectacular views.